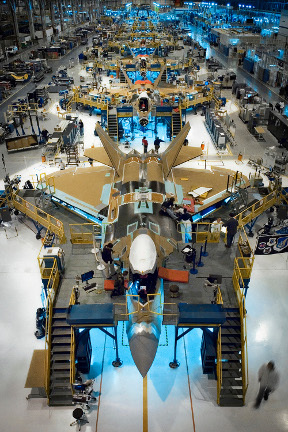 Aerospace industries face unique material handling and storage challenges. These are challenges we understand, with customers such as American Airlines, Boeing, Cessna, Bell Helicopter, Lockheed-Martin, Southwest Airlines, the United States Air Force, and many more who have utilized our expertise in their operations. Aerospace industries require a vast number of parts and components in a staggeringly wide variety of sizes and styles - and they typically need them on short notice. Parts have to be stored and organized efficiently so that access is fast and reliable. This can be accomplished in a number of ways, with solutions ranging from static storage like basic pick shelving to sophisticated AS/RS systems and carousels to gravity flow picking racks. Knowing the right solution for the application and when to apply it is the key. Cisco-Eagle has over 40 years of experience in meeting parts picking challenges faced by the aerospace industry. It's rare to find an industry where a set of four industrial casters that collectively cost about $200 are relied on to carry $200,000 of fragile components, but that's what happens in some aerospace applications. And it's perfectly fine - if the casters are correctly specified. From engine dollies, panel trucks, and maintenance platforms to nose stands, tire carriers and landing gear carriages, the handling carts and equipment takes a beating. The casters take a significant portion of this beating. Using the right one for the job is both a science and an art. It's often overlooked, but a failure can be calamitous. In one project for the largest aerospace manufacturer in the world, Cisco-Eagle utilized kingpinless swivel assembly casters to move the fuselages of 757's. The company also needed to move floor beams and engine nacelles with spring-loaded, shock-absorbing casters. Because these casters and their wheel material were correctly specified, the manufacturer has seen no failure issues. The cost of replacing casters (and thus downtime for production) plummeted. Replacement rates have been next to zero, after years of use. For many applications, aerospace companies must be able to lift, inspect and work on very large components. Balancers and lift tables are often crucial in these processes. Products such as jib cranes, overhead cranes, and balancers allow an operator to handle, twist, and turn a bulky, heavy component with no physical effort - meaning the operator is safer and more focused on the task, not the lifting. Scissor lifts can even be customized for larger aerospace applications if standard sizes won't do.